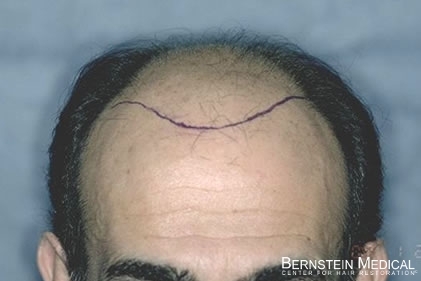 Bernstein Medical - Center for Hair Restoration Patient CJD is a Norwood Class 6 with black, wavy, very fine hair of high density. 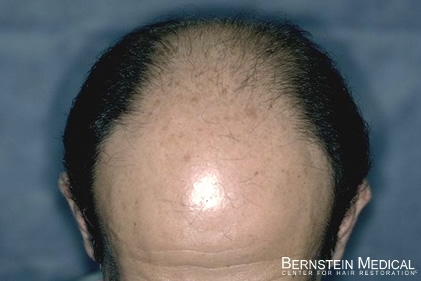 Results after 4,037 follicular unit grafts accomplished in two hair restoration sessions. 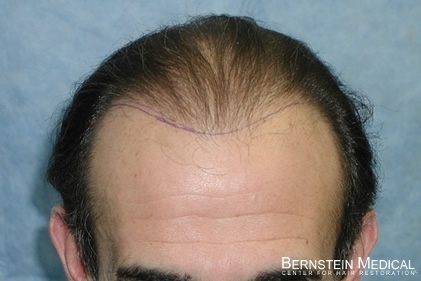 Hairline drawn with recessed temples to complement the patient’s desire to comb his hair straight back. 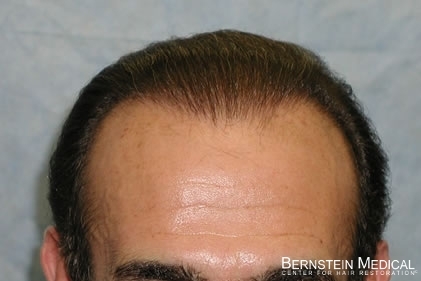 Note how the slight asymmetry of the transplanted hairline helps make it look so natural. 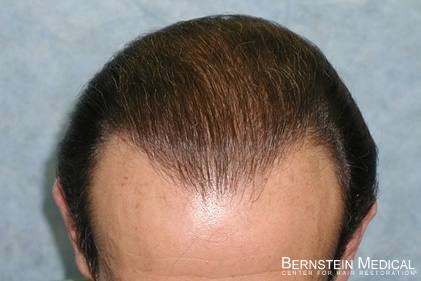 Thin, but natural look after one session of 2,353 grafts. 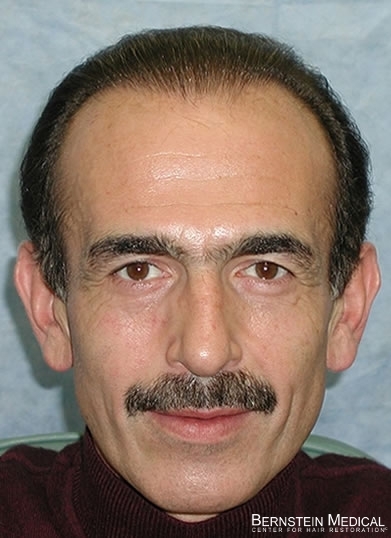 Greater density is achieved in the second of 1,684 grafts which was exactly superimposed on the first. 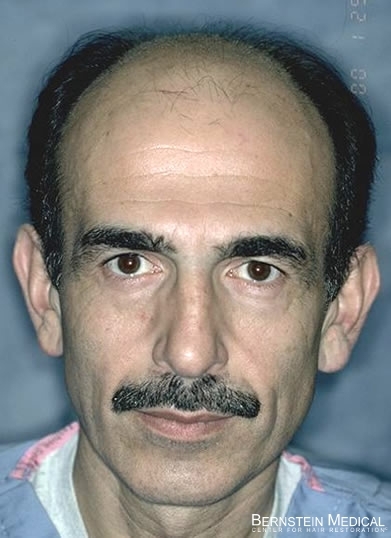 CJD waited two years between the first and second session.